Only THREE WEEKS until Dare releases! Crazy how fast time flies when you have a book releasing! To celebrate the book release, I’m going to look at a few of the things that inspired some of the themes or storyline in Dare. Dare is fantasy, so it isn’t directly based on any real history. But I’m a history buff. I like to explore the things I see in history in my own stories, even if I’m coming at them from a different direction. One of my inspirations for the themes in Dare is World War II, specifically World War II as experienced by the Netherlands. About a year before I started writing Dare, I researched and wrote a nonfiction narrative about my great-grandparents’ life in the Netherlands and their immigration to Canada. My great-grandparents lived in the Netherlands during World War II, so I did a lot of research about what life was like in the Netherlands during that time. World War II tore the Netherlands apart in many ways. Some people supported the Nazis. Some actively resisted in various ways, including forming the many groups that made up what is collectively known as the Dutch Resistance. Others didn’t like the Nazis, but felt they were the government God put over them and they should obey it. Neighbors were divided. Churches were divided. A person’s greatest enemies weren’t the Nazi occupiers, but their former friends, neighbors, and even fellow Christians who might turn them in. Thanks to the geography of the Netherlands, those on the run, whether Jews or Resistance members, had very few places to hide. My great-grandparents were some of those that resisted. They were forced to flee their home to live in a different part of the Netherlands because of it. At the end of the war, the dyke protecting their home was bombed, and they lost everything they’d been forced to leave behind in the resulting flood. Because they chose to resist, they lost all their worldly possessions. 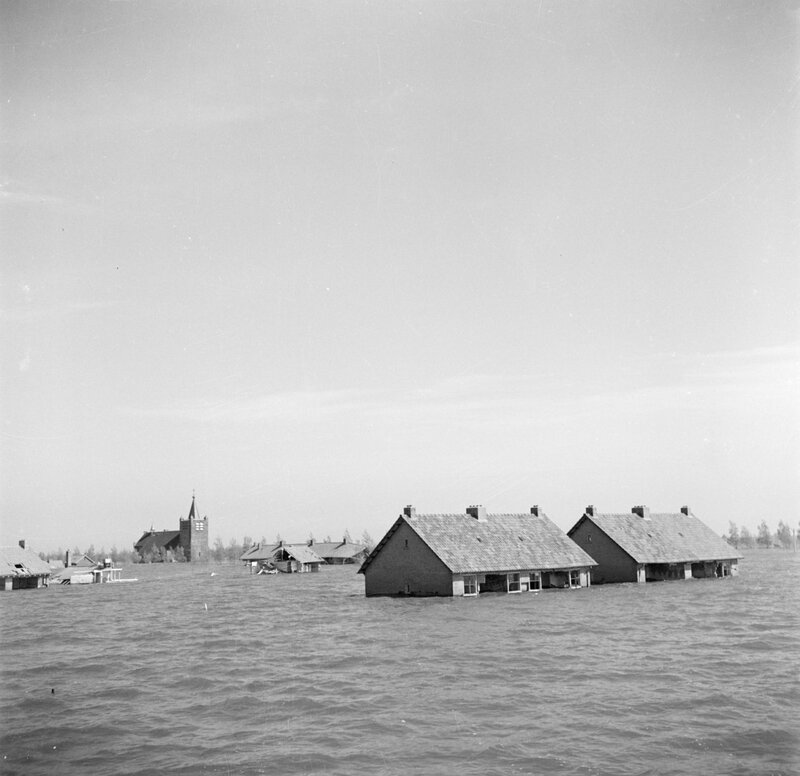 Flooded Wieringermeer Polder where my great-grandparents lived. If you’re interested in learning more about this time in history, Corrie ten Boom’s book The Hiding Place tells the story of her family. 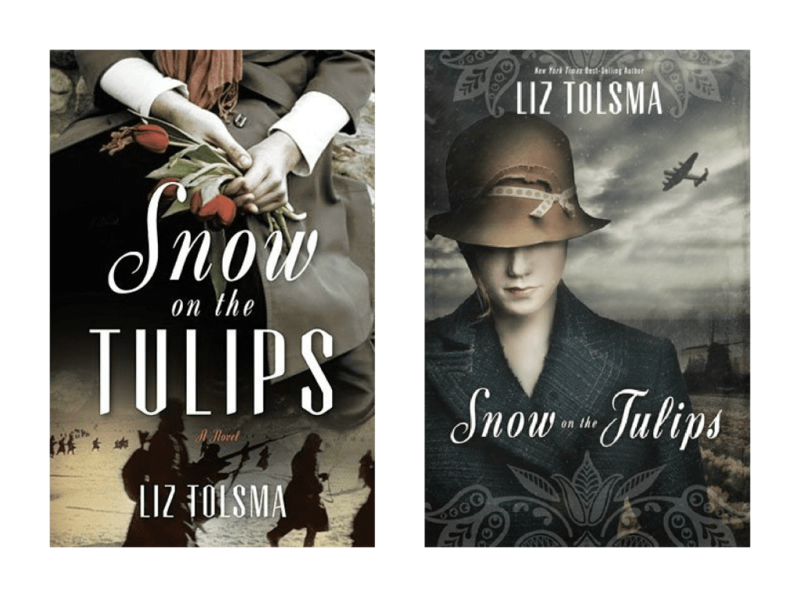 Another book that I highly recommend is Liz Tolsma’s Snow on the Tulips. While fiction, the book is based on a true story and very historically accurate. I’m also partial to it because it is set in Friesland, the province in the Netherlands where my great-grandparents spent part of the war. Have you researched World War II? What do you find fascinating about it? Your book sound intriguing! I actually just picked up a book called “Things We Couldn’t Say” by Diet Eman. It tells about her time as part of the Dutch Resistance. There are plenty of stories out there about WWII, but I don’t think I’ve come across any from the Dutch Resistance angle. It’s incredible to think about what these people did in such dire circumstances. How they risked their lives for others because it was the right thing to do. We take so much for granted, and it’s good to be reminded of this. I’ve heard about “Things We Couldn’t Say.” It’s on my TBR list. I’ve heard it is very good.